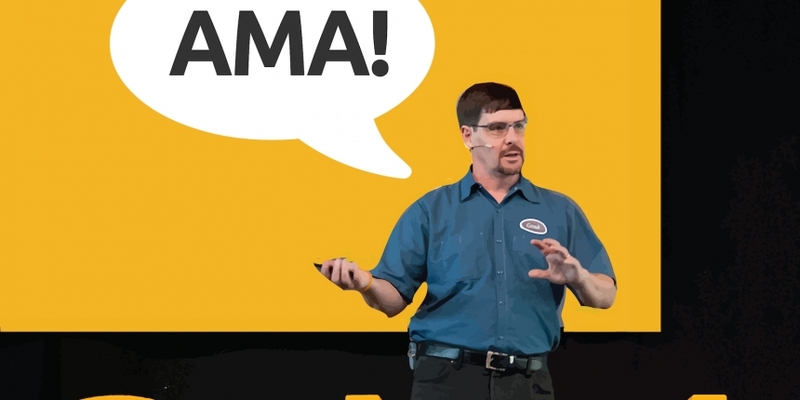 Bitcoin Core developer Gavin Andresen took to Reddit today to engage the community in an ask-me-anything (AMA) session that tackled a variety of topics both silly and serious. In his post kicking off the session, the 47-year-old chief scientist at the Bitcoin Foundation detailed his contributions to the bitcoin space so far. These included the nine Bitcoin Improvement Protocols (BIPS) he has written, including multi-signature transaction support and the Payment Protocol, plus the thousands of lines of code he has added to Bitcoin Core. The extended session, however, focused mostly on the future of bitcoin, with Reddit participants asking for Andresen’s insights on what they can do to help spread the use of bitcoin and what he sees as the biggest challenges that remain for the technology. Q: (Beaucoin) – What can the average noobie do to help spread adoption of this fantastic technology? Q: (Sorcery-Sorcery) – What is in your opinion the biggest obstacle for bitcoin at this moment? What do you think would be the most important factor in bringing bitcoin to the masses? Where do you see bitcoin is five years? A: Obstacle/factor: getting to where people are earning bitcoin directly, instead of having to jump through some hoop to trade the currency that they earn for BTC. Bitcoin in five years: uhhh…. 2019…. I left my crystal ball in my other coat pocket. I think it’ll either disappear and become an under-the-covers ledger system that Joe-ordinary-consumer never sees. Or it will be the de-facto currency of the Internet (prices still quoted in your local currency, but payment in bitcoin always accepted). Q: (David722) – If a country were to “ban” Bitcoin, how could that be enforced? Is it possible for bitcoin internet traffic be blocked at the ISP level (or any other)? A: It would be enforced the same way banning any activity a government doesn’t like is enforced, with fines and jail sentences for anybody found doing the thing they don’t like. They would probably start by making it very difficult to exchange bitcoin for the national currency via banks. Unencrypted bitcoin traffic would be pretty easy to block at the ISP level, but it is also pretty easy to tunnel it through Tor, which is harder to block. But talk to the Tor folks about that, they know a whole lot more about blocking internet protocols than I do. Q: (PaulCapestany) – What are you currently most excited about with regards to bitcoin development? And, conversely, what are you currently most worried about? A: I’m most excited about all of the non-currency uses of the block chain’s ledger-ordering ability. I have no idea which ones will turn out to be successful, but I’m glad all of that experimenting is happening. I’m most worried about scalability. Q: (Piper67) – You’ve long been a proponent of the “Bitcoin is an experiment” line of thinking. While that is technically true, so is “Gravity is just a theory”. What needs to happen for you to switch from “bitcoin is an experiment” to “bitcoin is established”? A: We need regulatory clarity, ease of use and no-single-point-of-failure security. I think we’re very close on all of those things. Q: (bitcoinoisseur) – What was the first physical thing you paid for with bitcoin? A: First physical thing… uhh, it was either alpaca socks (the alpaca farmer is 10 miles away across the river from me here) or Red Sox tickets purchased from a friend. A: I’m excited about the possibilities. I think a lot of projects unnecessarily mix up the various services the block chain provides, and try to make it do things it is not good at doing (like storing data). I think the best projects understand that they don’t need to invent a new currency. They don’t need to use the block chain as their long-term data storage solution. And they don’t need to use the peer-to-peer (p2p) network as their communication mechanism. They should use the block chain as the world’s most secure distributed ledger. Q: (NedRadnad) – Do we really need to hard fork the chain to achieve scalability? When do you plan on making the fork? A: Yes, I think we do. There is still at least a month or two of work before I’d be willing to write a patch to increase the maximum block size, and then probably a month or two more of arguing. So, early next year at the earliest before even starting the hard-fork process (which must roll out to miners – they will control when the fork actually happens). A: I think everybody should switch to talking in “bits” (millionths of a bitcoin). Q: (FreeMarketAnarchist) – Have you been in contact with the CIA at all since your famous meeting? Do you think Satoshi will ever make contact with you or the general public again? How do you feel about Andreas Antonopoulos, specifically his recent talk with the Canadian Senate? A: No, I haven’t talked with the CIA or InQTel since my infamous talk. I don’t know if Satoshi will ever reappear. Andreas did a fantastic job at the Canadian Senate! He should do the TED talk. Q: (bubbasparse) – What are some of the most exciting code implementations/projects/companies that you’ve been keeping an eye on? A: I’m excited about the Trezor (and hope the Mycelium people get their hardware wallet working soon). And watching the spread of bitcoin ATMs, because getting BTC is still a bottleneck for ordinary people. 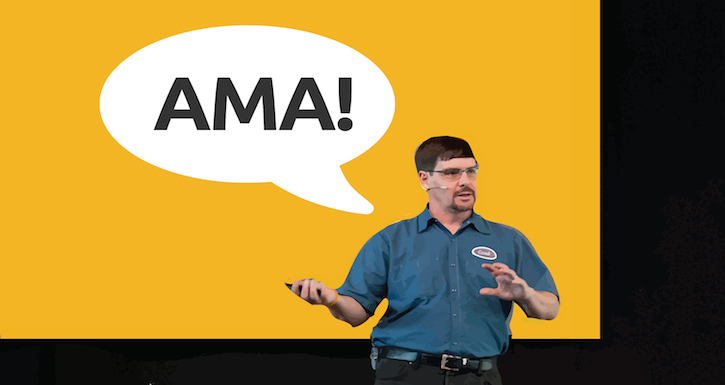 Q: (bitbeliever) – For how long will you stay on as chief scientist? A: I dunno. I’m starting to get tired of the title, maybe it should become “Head Cheese (Technology)”. Note: the Reddit comments were left unedited to retain the original style.